The New York Giants and the Atlanta Falcons will meet on Monday night. This Monday Night Football matchup will be at Mercedes-Benz Stadium. These two teams have struggled much of the season and look to get some momentum going. TV: 8:15 p.m. ET, ESPN. 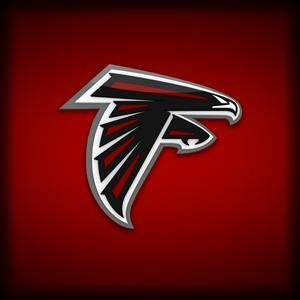 LINE: Falcons -4 O/U: 54. Quarterback Matt Ryan and the Atlanta Falcons withstood a late comeback last week. They ended a three-game slide in what may have been a season-saving victory. That’s pretty much the same position the reeling New York Giants, and the much-maligned Eli Manning. find themselves in tonight. After finishing 3-13 last season and winding up with prize running back Saquon Barkley, New York is off to a 1-5 start. Growing cries that Manning needs to be yanked from the starting lineup magnify with each snap. Atlanta has plenty of issues of its own. Injuries are the big one. They still have Ryan and favorite target Julio Jones. He is the subject of pregame hype with New York’s Odell Beckham Jr. on the opposite sideline. Barkley has lived up to his pre-draft hype for the #2 pick in the NFL draft. He rushed for 130 yards and a touchdown and caught nine balls for 99 yards in a 34-13 loss to the Philadelphia Eagles on Oct. 11. Barkley has a chance to make history against the Falcons. He can join Kansas City’s Kareem Hunt as the only players to pile up at least 100 yards from scrimmage in seven consecutive games to begin their career. Eli Manning continues to have trouble connecting with Beckham. He has averaged 6.5 yards or fewer per pass attempt in four of six games. New York’s defense has allowed 27 points per game and is tied for last in the league with 7.0 sacks. TE Evan Engram is expected to return after sitting out the last three games. The Falcons have started the season 2-4. They could easily be 5-1 going into tonight’s matchup. They lost 3 games in the last 30 seconds. Ryan is third in the NFL with 1,956 passing yards and has 12 touchdowns. Throw in zero interceptions over the past four games. Ryan threw for 340 yards and three scores in last week’s win over Tampa Bay. Jones had 10 catches for 144 yards against the Buccaneers. He is second in the league with 708 yards, but he has yet to find the end zone. This was after scoring only three touchdowns in 2017. This is an issue Atlanta has to deal with. Devonta Freeman was put on injured reserve following groin surgery this week. Tevin Coleman and rookie Ito Smith will share the load in the backfield. Atlanta is 30th in total defense (417.2 yards) and 31 in points allowed (32.0). They have 4 pro-bowl players out for the season, or good portions of it, on defense. Ryan has an NFL-best 1,432 yards and 128.2 passer rating since Week 3. DE Takk McKinley has 4.5 sacks in the last five games. Get up to a 150% Free Play at BetPhoenix Online Sportsbook!! !